The Swiss Alps. 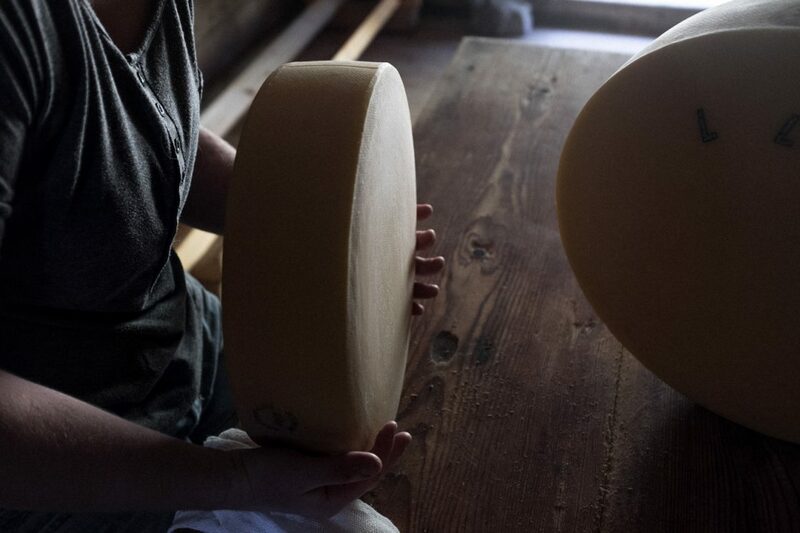 Up here, in rugged nature and far from bustling streets, a world-renowned cheese is created. As long ago as the Roman occupation cheese was produced with sour milk. Then in the Middle Ages rennet cheese established itself in the monasteries and on the alps, where in the 16th century the number of animals grazed increased steadily. Hundreds of different herbs, crystal-clear water and pure mountain air make alp cheese an experience that goes far beyond the palate. But this is not the only reason why alp cheese is so special. For it can only bear the designation Alpkäse when it is produced with milk from cows, goats or sheep grazing on the alp. 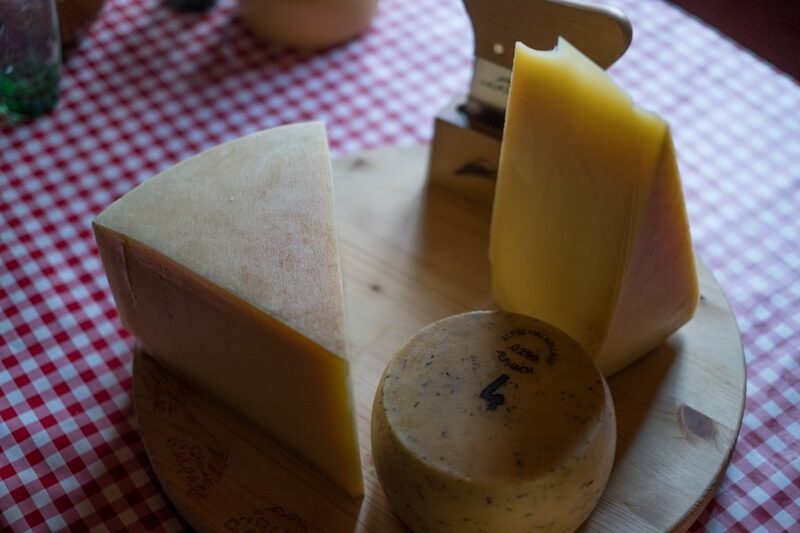 And unlike mountain cheese it is produced only in summer and only on the alp. As soon as spring arrives in the mountains, the alp farmers move there with their animals. For the next 80 to 120 days, the alp hut is their home. And this is also when the alp cheese needs to be made. It’s a complex process that demands considerable skill and experience. One of the reasons for this is that, up here, at an altitude of up to 2,500 metres, the weather changes quickly. Immediately after milking, the tangy raw milk is heated on the spot – over the fire or using a steam boiler, depending on the region. 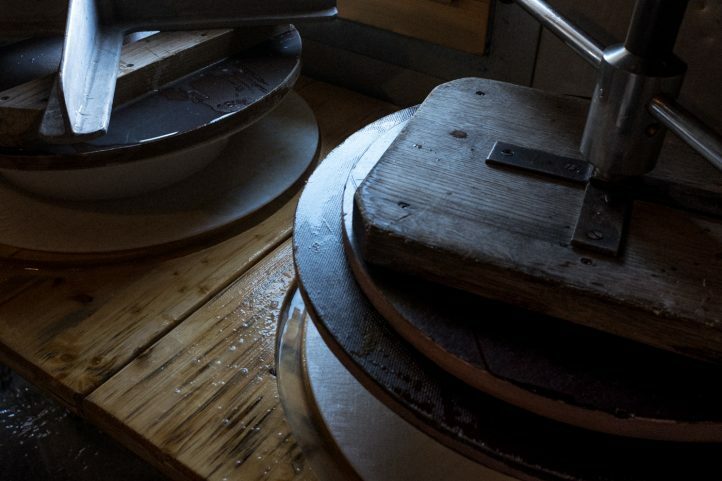 This is the start of a long process that requires considerable effort and attention as each hand movement shapes the unique character and quality of the alp cheese. 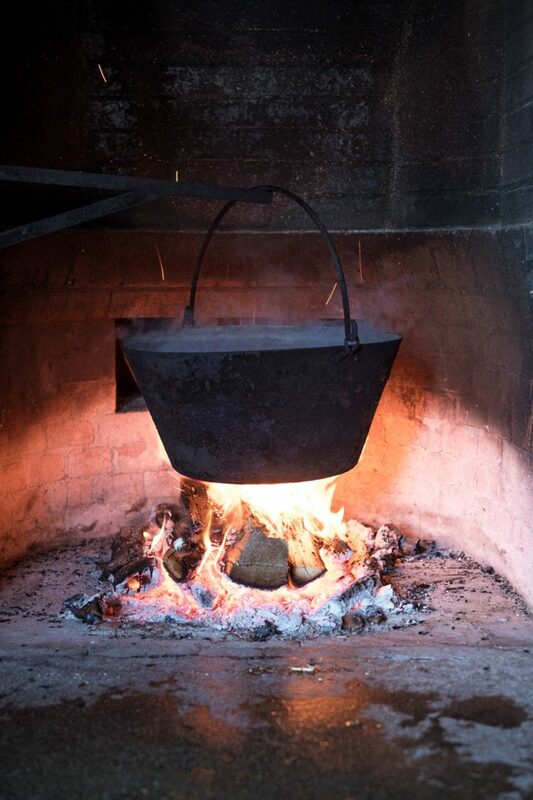 Each region has its own recipe, its own tradition; each alp has its own family secret. These all combine to shape the aroma, colour, shape and hardness of the alp cheese. The ageing period depends on the particular type of cheese. Each cheese thus develops its own unmistakable personality: the nutty and creamy L’Etivaz from the Vaud Alps, the strong Berner Alp und Hobelkäse, the aromatic Ticino Alpkäse, the delicate Gruyère d’Alpage and the tangy Alp-Sbrinz. No two cheeses taste alike. And each of them is an experience in itself – like their home region. Alp cheese contains many hearty ingredients, which not only give the particular cheese its unique flavour but also make it a healthy pleasure. The high proportion of valuable unsaturated fatty acids in the cheese is beneficial to the cardiovascular system. 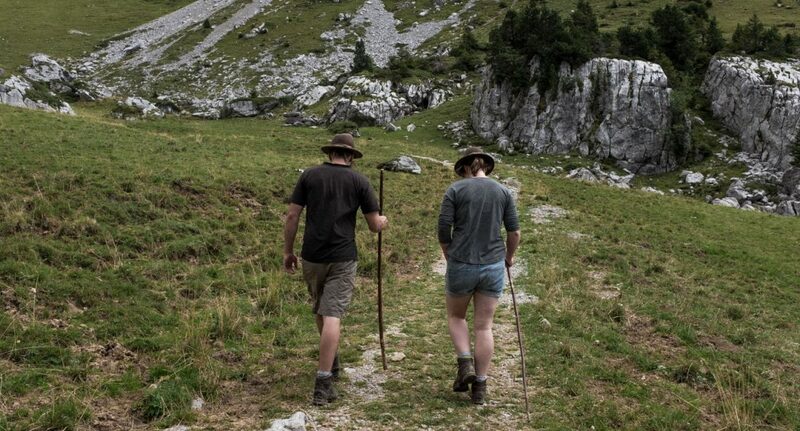 But making alp cheese also benefits nature: cultivating the alps is not only advantageous to us humans, it also makes a sustainable contribution to biodiversity in the alp meadows. 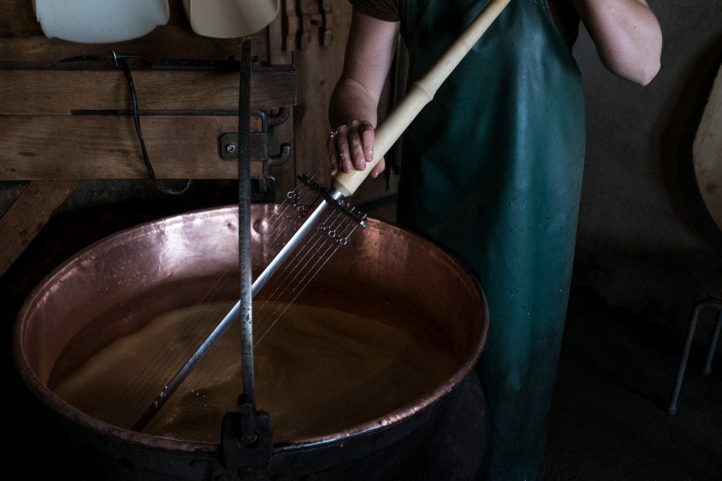 While many alp cheese dairies are equipped with modern facilities, alp cheese is still made primarily by hand. Primitive utensils and elaborate methods are often used. Making alp cheese demands considerable skill and experience. 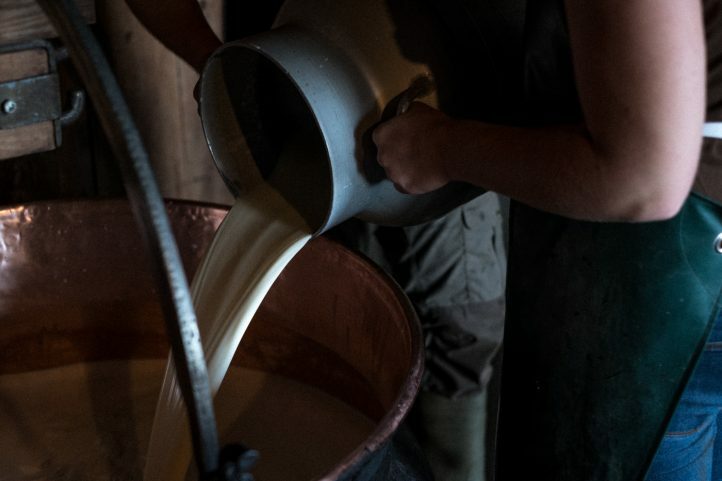 The fresh, aromatic and healthy herbs in the alpine meadows produce a full-flavoured raw milk, which is carefully processed almost as soon as the cow has been milked. The milk is then heated over a wood fire. The smoke adds to the unmistakable flavour. 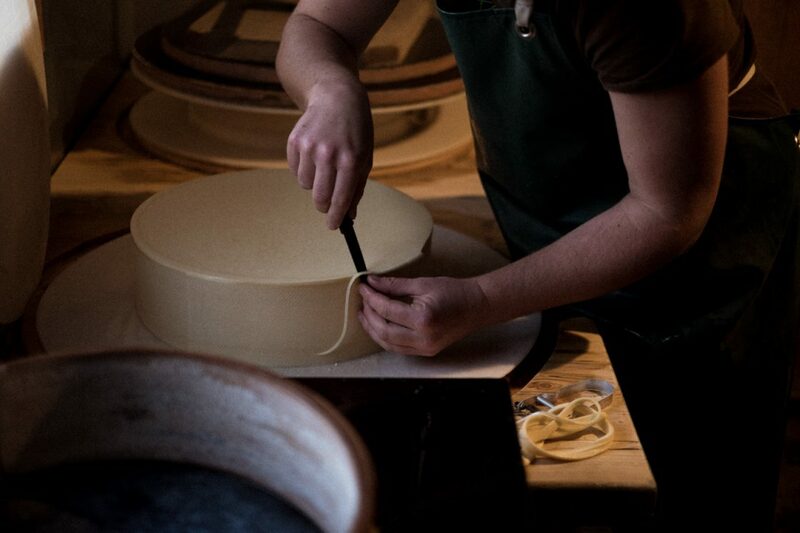 Once the culture and the rennet have been added, the mass is then cut with a cheese harp. This process is known as ‘pre-curdling’. The culture is made up of the lactic acid bacteria, which are needed to break down the lactose and to ripen the cheese. Rennet is an enzyme found in the stomach of calves; it causes the milk to curdle. 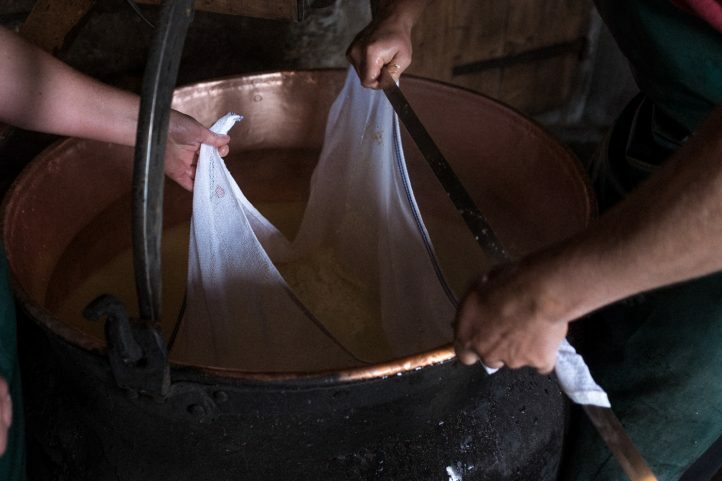 After the cheese (curd) has been heated to a precisely defined temperature, a cloth and Bögli (a steel strip) are used. The cheese mixture is then placed in the cheese mould. The mixture is squeezed in the cheese mould, known as the Järb or circle, and then placed in a salt bath. 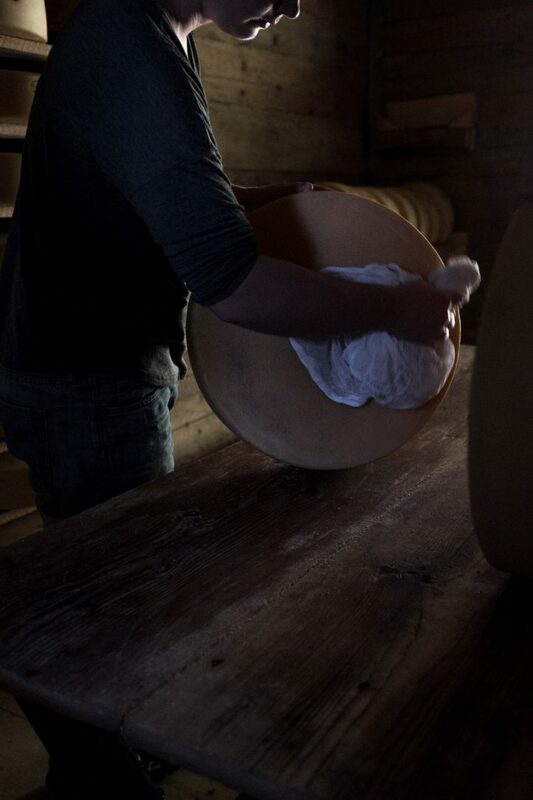 The wheels are inspected regularly in the cheese cellar; they first need to be brushed and then wiped dry. AOP stands for “Appellation d’Origine Protégée” (Protected Designation of Origin). Once registered by the Swiss Federal Office for Agriculture, this protected designation can be used exclusively for products that meet the provisions governing rules of origin and the procedural and quality standards stated in the specifications. AOP guarantees that the alp cheese originates entirely from the named area of origin. Independent certification bodies perform regular checks to ensure that the requirements are met. In other areas, alp cheeses are monitored according to industry guidelines for good practice in alp products set out by the Schweizerischer Alpwirtschaftlicher Verband (SAV), a Swiss national agricultural organisation.